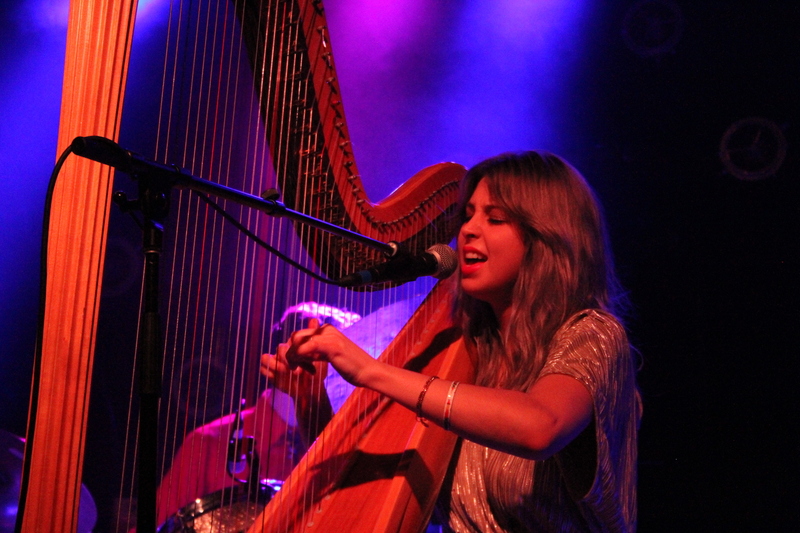 There couldn't have been a better pairing than the one between mystical rocker/harpist, Mikaela Davis, and the boisterous, Lake Street Dive. 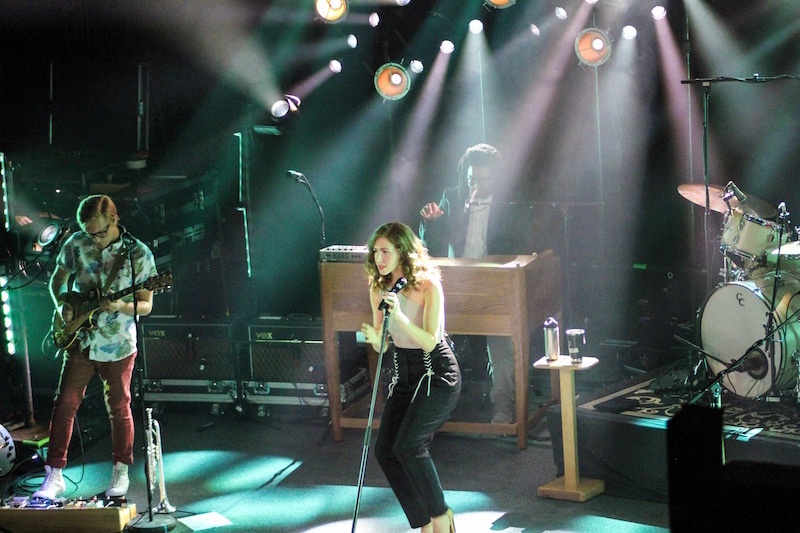 Both acts, which took to the stage at Royale in Boston last week, treated fans to an epic night of live music. The two powerhouse female vocalists were belting out their latest and greatest, alongside instrumentation sent from above from their backing band members. Kicking off the night, Mikaela dusted off a dreamy number called "Little Bird", which referenced her childhood dream of taking flight. 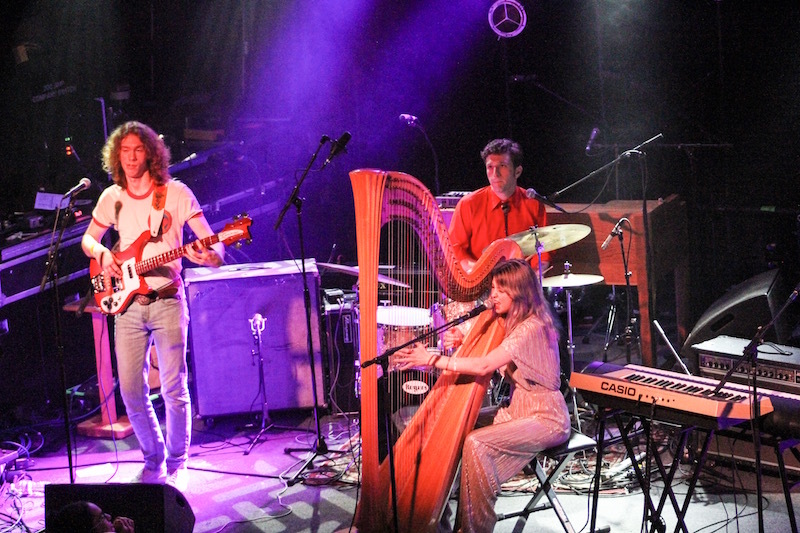 There was something captivating about the mixture of a traditional harp and the electricity of her accompanying band, (made up of Alex Cote on drums, and Irish brothers Shane and Cian McCarthy on bass and guitar). What proceeded was a fleet of incredible songs from her soon-to-be-released album, Delivery. 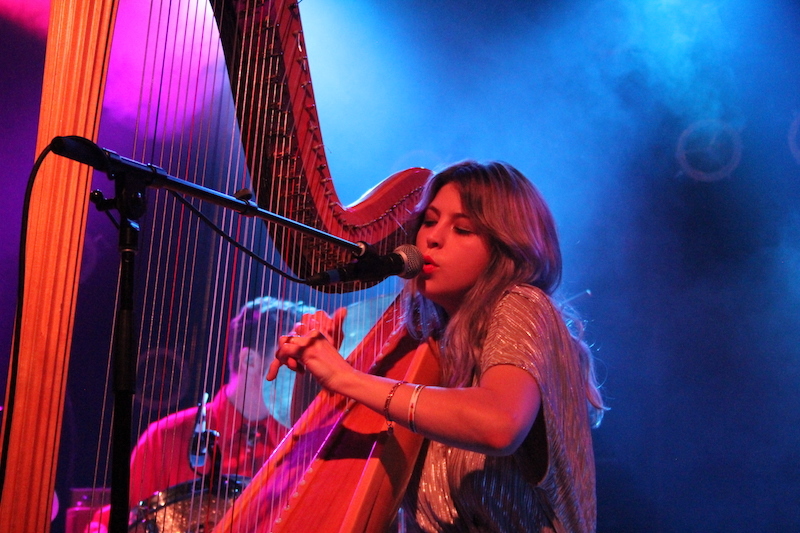 Aside from Mikaela's vocals, the most memorable element of the performance was her harp. She began playing in third grade and continued to hone her skills at SUNY Potsdam, a longtime passion that translated onstage. 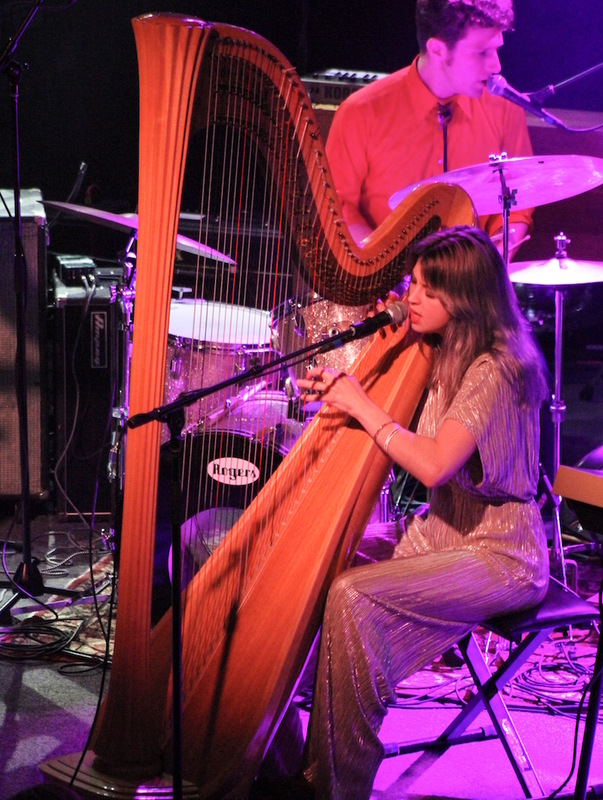 In her golden jumpsuit with the massive upright frame hovering above her, the Rochester native captivated the audience, putting them further under her spell with every pluck. 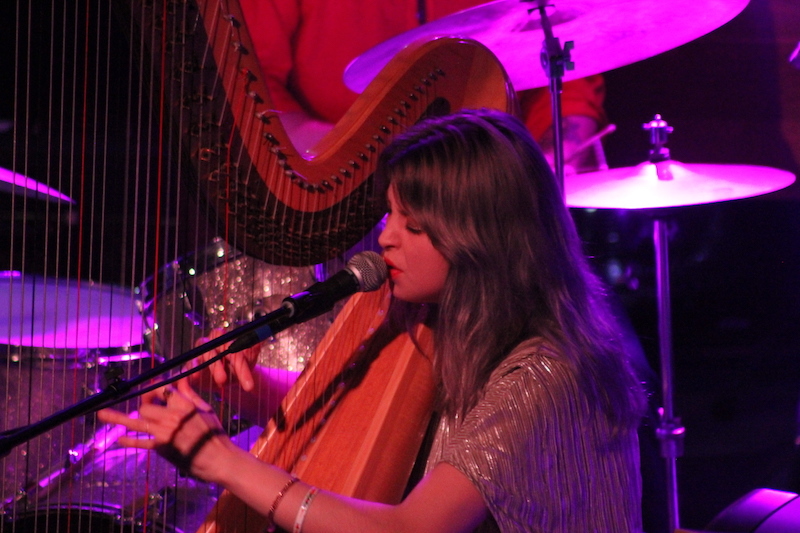 "There aren't many people who still play the full-sized harp," she said proudly after her set. She also played some songs on keyboard, and said she was also learning guitar. After playing the title track from her forthcoming LP, she played "Other Lover", my favorite song of the night. "I don't want to be the other lover. Runaway, runaway," she mused. The set had elements of badass twang and psychedelic tones. "I was obsessively listening to the album Plastic Ono Band by John Lennon," said Mikaela after the show. "The last song I played, "All I Do Is Disappear", was especially influenced by that album." 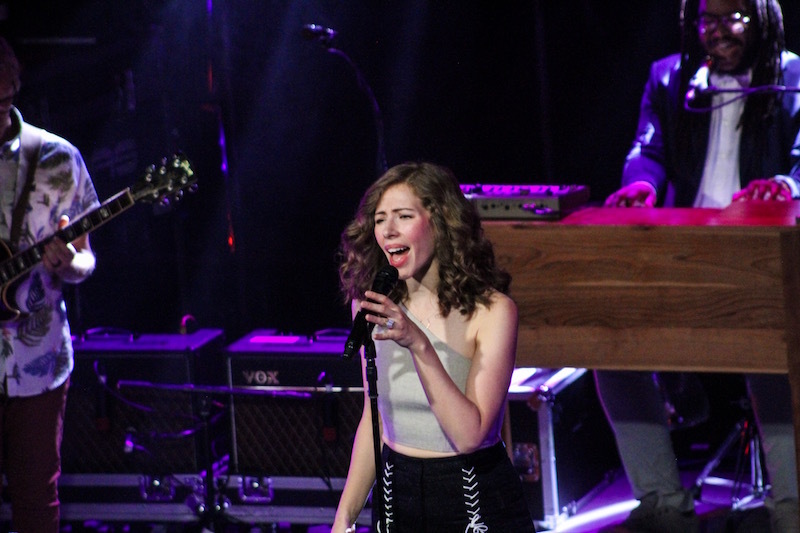 After Mikaela left the stage, the audience beared witness to an incredible performance by Lake Street Dive. 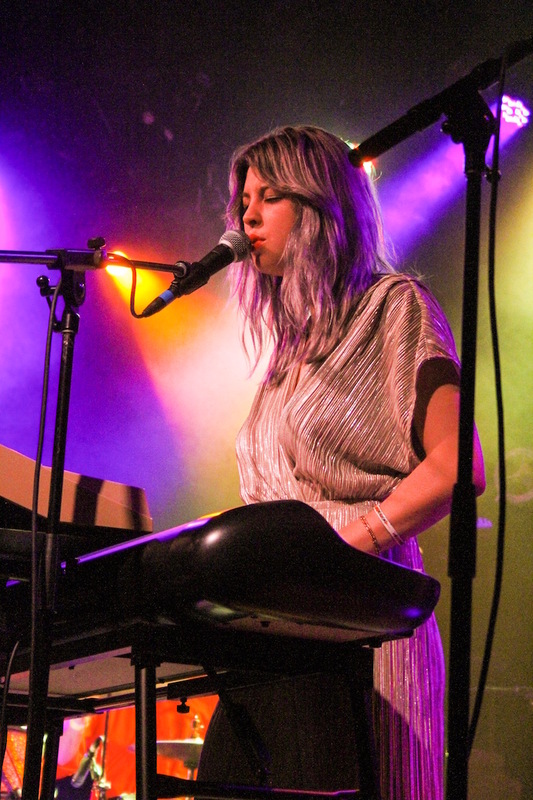 The sultry and powerful voice of lead singer Rachel Price delighted her hometown crowd, as the band moved through songs from their new album, Free Yourself Up, which they were playing live for the first time. She brought down the house with "Good Kisser", and went on to sing a couple of songs about recurring character Bobby who's mentioned in their lyrics such as "Bobby Tanqueray". "I'm going to play you the last song in his story,” Rachel said. “This guy is no good, but in the end I don't really care." After a few new yet instant hits like “I Can Change”, their keyboardist played a cover of Shania Twain's "Still The One", which transported us somewhere magical. "This is the first time I've seen them live," said Mikaela after her set. "I listened to the Shania cover during rehearsal, and their five-part harmonies are amazing. It's actually a little daunting," she noted. Check out photos from the show below, then make sure to Track both groups on Bandsintown to stay up-to-date with all their touring news!